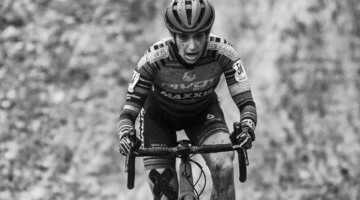 Jake Wells has been a mainstay of American cyclocross at the professional level for years, but the last few years he has significantly dialed back his ’cross racing schedule to spend more time with his family in Colorado. 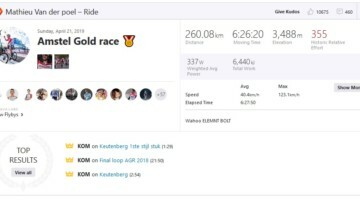 Wells is, however, still more than capable of riding at a high level. 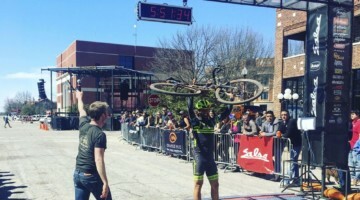 He finished second at the Dirty Kanza 200 this past year and headed to Reno with podium dreams at somewhat shorter distances. 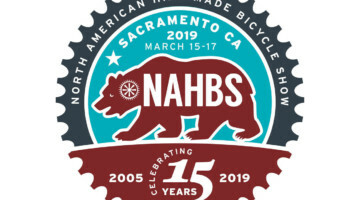 Last year in Hartford, Wells raced for the Stan’s NoTubes team in the Elite race, but this year, Wells opted to embrace his retirement from the U.S. UCI scene and race in the Masters 40-44 and singlespeed races at the 2018 Reno Nationals. 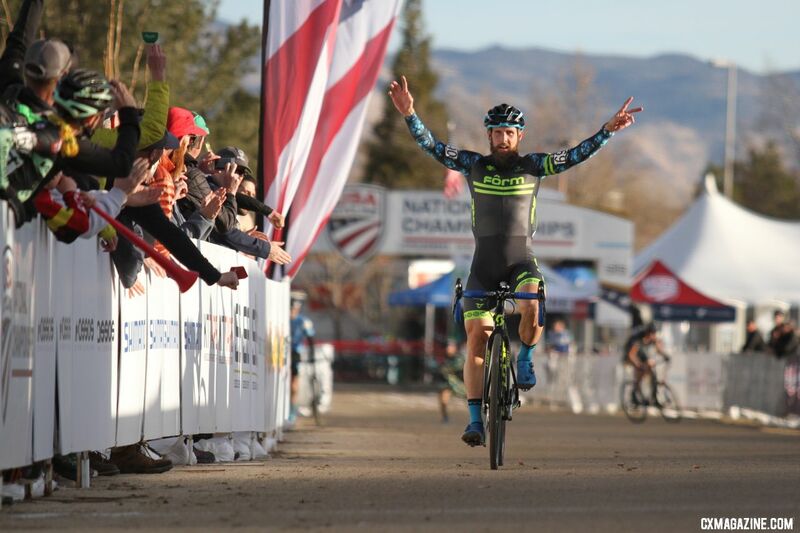 Wells dominated his Masters race on Thursday and then returned Saturday to win the Singlespeed race ahead of a strong field. Nationals singlespeed setups are often interesting to look at, especially for athletes such as Wells who are not dedicated singlespeeders. 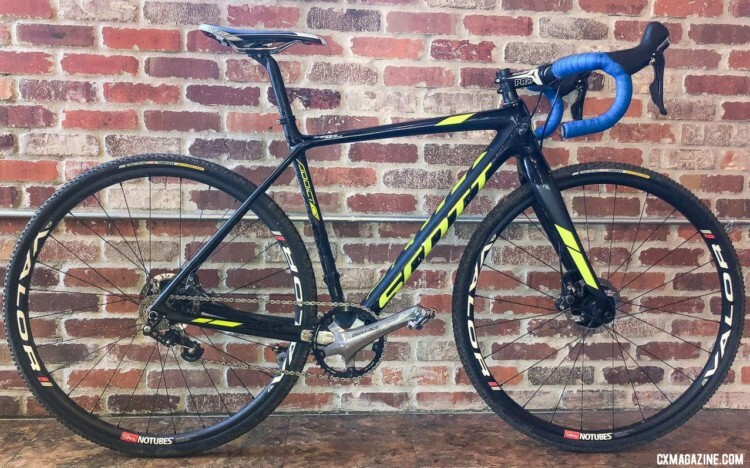 Today, we are profiling Well’s 2018 Nationals-winning singlespeed Scott Sports Addict CX with Stan’s Valor tubeless wheels. 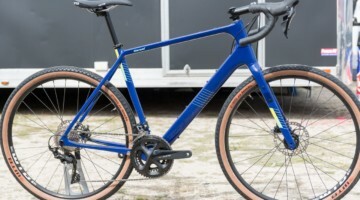 Jake Wells’ 2018 Nationals-Winning Singlespeed Scott Addict CX. 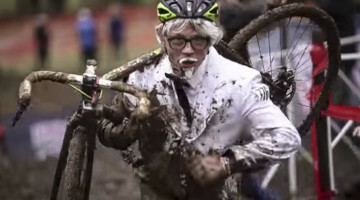 Wells used to race for the Stan’s NoTubes team, so not surprisingly, his singlespeed setup was similar to the team’s bikes. In Reno, he raced a Scott Sports Addict CX frameset with Stan’s Valor carbon tubeless wheels. 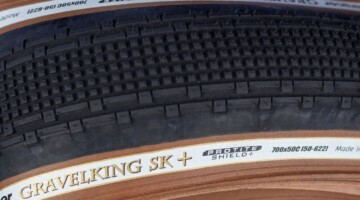 Wells ran the intermediate 32mm IRC Serac CX Tubeless tires, which were team tires before Maxxis came on board this season. 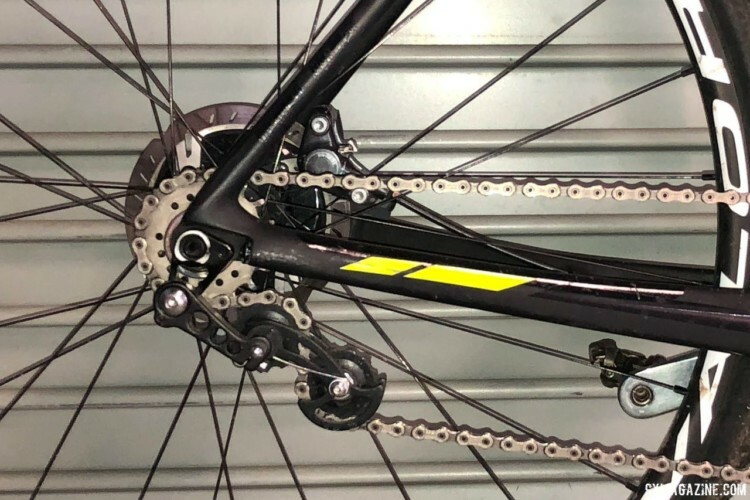 Since the Addict CX is not a singlespeed-specific frame, Wells used Problem Solvers’ Two Pulley Tensioner chain tensioner to keep his Shimano CN-HG901 XTR chain in place and a Surly singlespeed cog and spacer kit to convert his wheel from a cassette configuration. 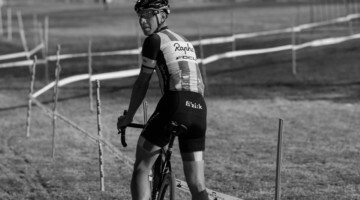 As is common with singlespeed racers, Wells made his final gearing decision at the venue. His chain ring was a Wolf Tooth narrow-wide 42-tooth ring, but he brought both 18 and a 19 tooth cogs with to Reno. 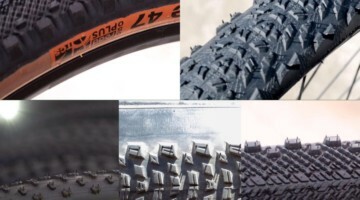 He ended up choosing the 18-tooth cog based on the conditions at Rancho San Rafael Park. 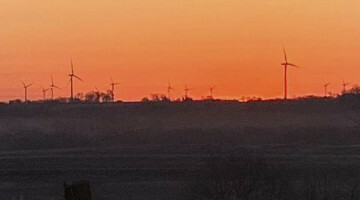 “I was going to see what the weather did. 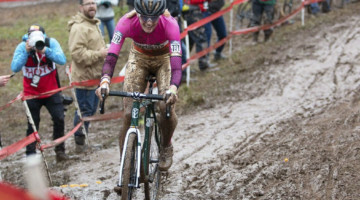 If it was muddy, I was going to go to a 19,” Wells told Cyclocross Magazine. 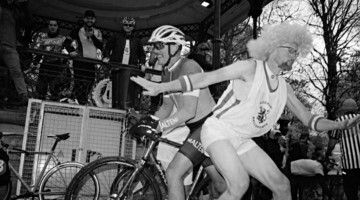 The other deciding factor was the run-up on the back of the course. “If I could muscle it up that steep pitch in the back I would stick with the 18. If I felt like I was losing time there I was gonna go with the 19,” he said. 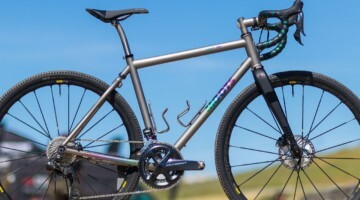 Wells’ crankset stands out thanks to its polished aluminum finish. 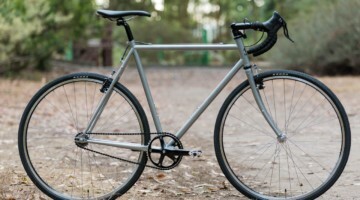 He used an older Dura-Ace FC-7800, the first model to use Shimano’s Hollowtech II spindle design and the last Dura-Ace groupset offered in polished aluminum. He did use top-shelf PD-M9000 SPD pedals, however. 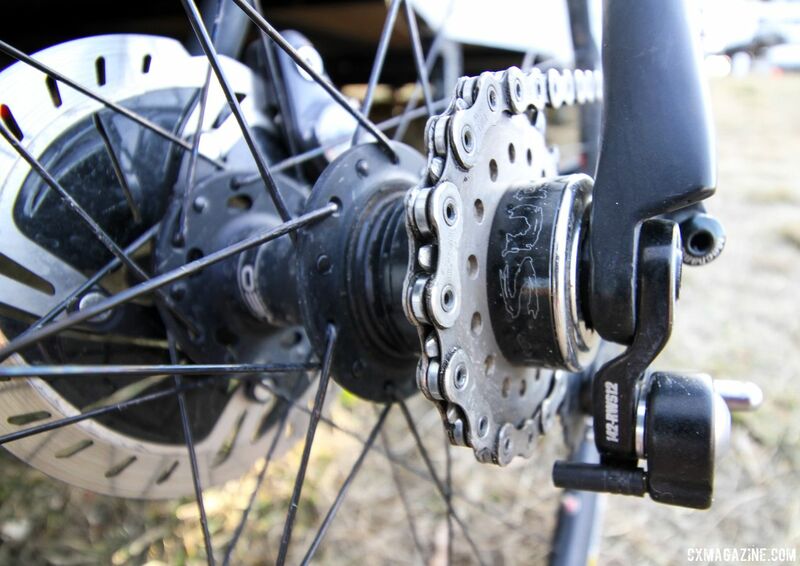 Wells’ brake levers are a carryover from the bike’s geared build. 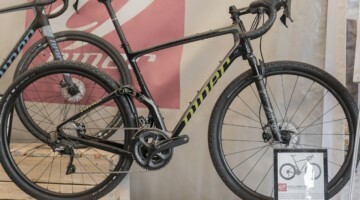 He used Shimano’s non-series ST-RS685 hydraulic brakes, which provide Ultegra-level hydraulic braking and mechanical shifting. RS685 brakes were a common spec on bikes before Shimano released dedicated hydraulic units in the R9100 and R8000 groupsets. Interestingly, Wells was not using the R785 hydraulic caliper that is usually paired with the RS-685 lever; he instead used a non-series Shimano post mount caliper with flat mount adapters. 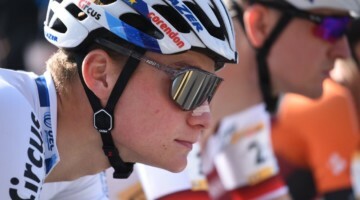 His cockpit consisted mostly of components from Shimano subsidiary PRO, with the exception of the Syncros FL 1.0 carbon seatpost that comes with the frameset. 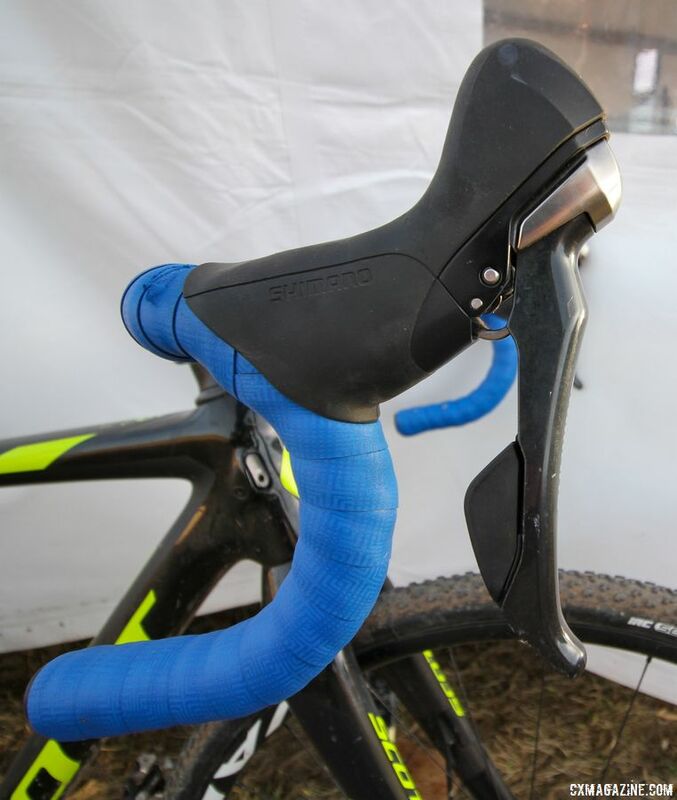 His saddle was a PRO Turnix with Ti rails, which we have seen other Shimano-sponsored athletes use for ’cross. 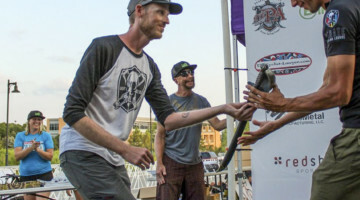 Wells’ handlebar was the 7000-series aluminum PRO Vibe 7 wrapped with blue Lizard Skins tape and it was connected with an alloy Vibe 7 stem. 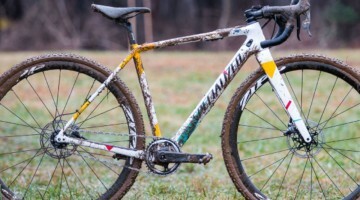 See the photo gallery and specifications below for a more in-depth look at Wells’ Nationals-winning Scott Addict CX singlespeed setup. 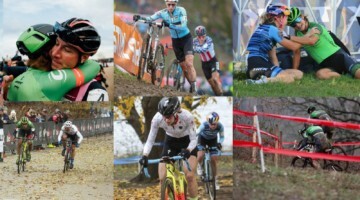 For more bikes from Reno, see our growing collection of Nationals bike profiles.